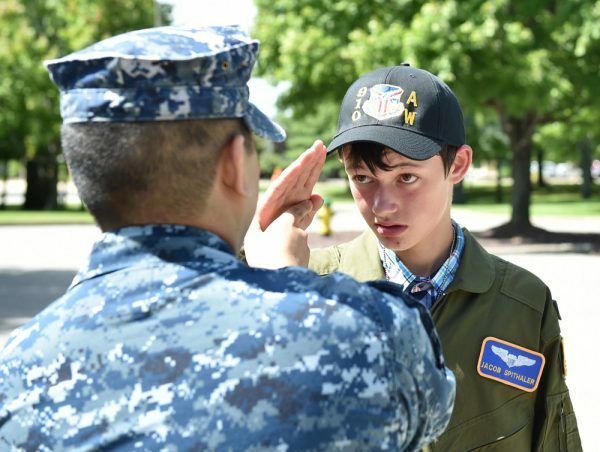 14-year-old Jacob Spithaler is laser-focused in many aspects of his young life, and his talents were on display at his Pilot for a Day experience with the 910th Airlift Wing in Vienna. From his uncanny ability to mow down silhouette targets at the firing range simulator to his precision marksmanship with a fire truck water cannon to his entrepreneurial vision of becoming an accomplished teen chicken farmer, when Jacob puts his eye on a goal, he’s determined to hit it. Jacob is an eighth grader at Joseph Badger Middle School in Kinsman, and in November will mark 3 years with Type 1 diabetes. 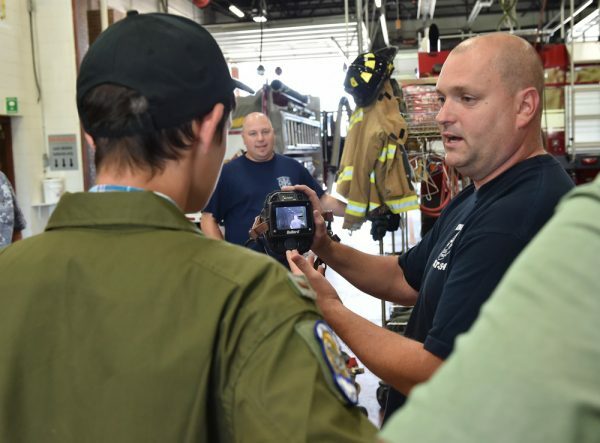 He was chosen as the 64th Akron Children’s patient honoree of the air base and hospital-sponsored Pilot for a Day program, which started 17 years ago. The program gives children with chronic, life-threatening illnesses the opportunity to meet base personnel and receive a VIP air base tour. Jacob sees a doctor every three months and takes 3-4 insulin shots per day to manage his disease. Jacob donned a personalized flight suit at a welcoming ceremony staged just for him at the air base, he rode in a C-130 cockpit and an air base fire truck, hit 6 of 7 targets in a firing range simulator and peppered the plane maintenance crew with technical questions about jet engines as part of his special day. In addition to his father, Jacob brought his grandfather, Dan Spithaler, and family friend and fellow chicken farmer, Scott Miller, along for the ride. Jacob, who works part-time in the summer for his father’s land clearing and timber cutting business, has his eyes set on growing a fledgling egg business he started this year, and acquiring 500 chickens in the spring time. “He did his own research and learned that any less than 500 chickens and he wouldn’t need a permit to sell the eggs,” his father said. What else would you expect from a kid with that kind of focus?